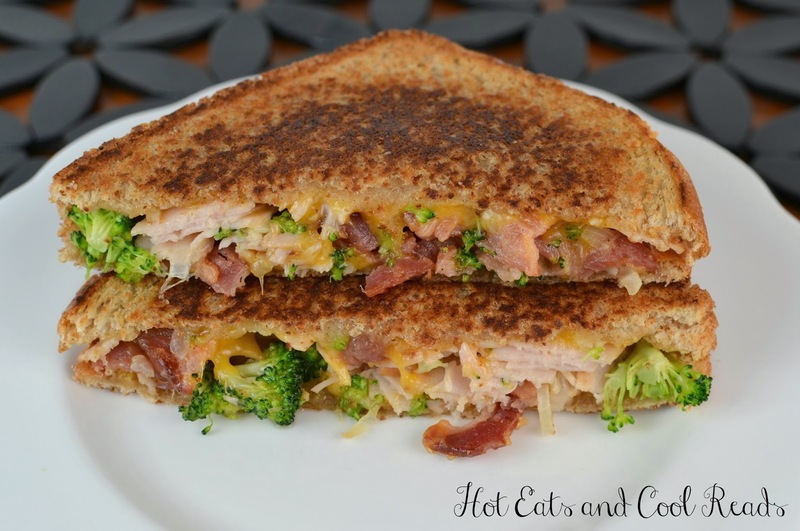 This recipe is perfect for any grilled cheese lover! Full of bacony, cheesy goodness! Who loves grilled cheese sandwiches?? I do! Especially non traditional ones, like this recipe! You really can't go wrong with this sandwich! It's perfect for a quick lunch when served with some soup or chips, or great for a weeknight dinner! You really can't go wrong with all these flavors! They are amazing together!! Enjoy! In a skillet, melt butter over medium heat. Add the onion, broccoli, and garlic. Saute for 4-5 minutes, then add the turkey and bacon. Heat through and remove from heat. Season with salt and pepper, if needed. Butter the outside pieces of the bread, layer the cheese, broccoli mixture and then more cheese on top. Cook in a skillet over medium high heat until both sides of the sandwich are browned and cheese is melted. Serve immediately. 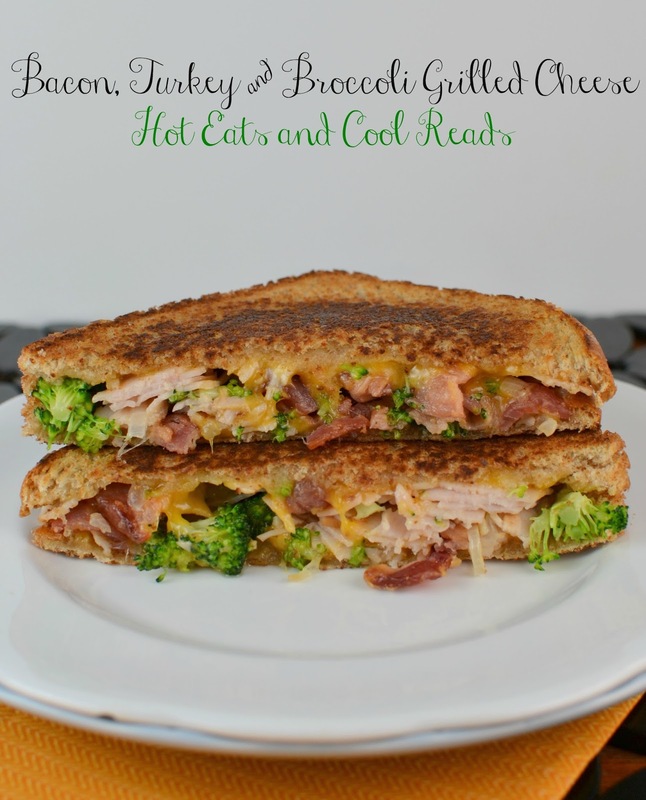 If you liked this recipe, follow Hot Eats and Cool Reads on Pinterest here! This looks so tasty and incredible! 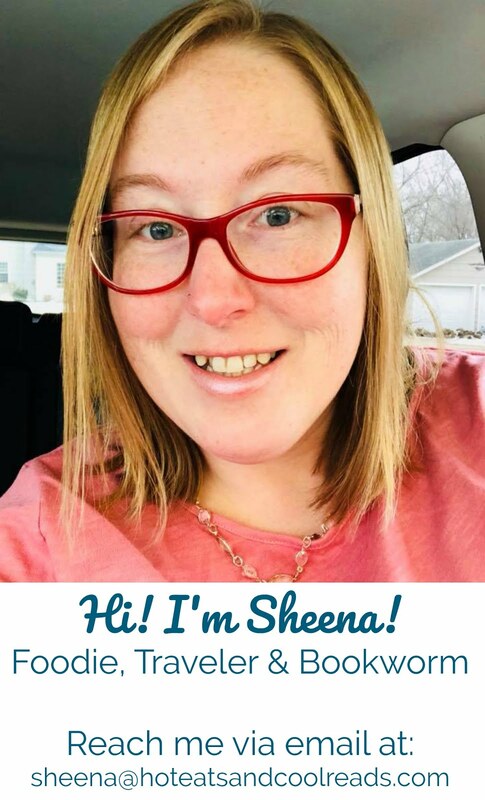 You have a great blog! I would love if you would drop by and link up to my Super Bowl Eats and Treats Party! I love this combination and looks like a great sandwich and would be a great salad too. Hope you are having a great week end and thank you so much for sharing with Full Plate Thursday. This is a great combo! Thanks for hosting! Yum, that sandwich looks delicious! This looks delicious. I cannot wait to try it. Come visit us. We have a terrific molten cocoa cake recipe and fat free sweet potato souffle to share. I will be sure to check them out! Thanks for stopping by!! Now this is a great way to get in some extra veggies! YUM! I love coming up with creative grilled cheese sandwiches! My sister is going to be all over this one! love this idea! what a fun grilled cheese! This is a meal in a sandwich - great idea! Both hands raised over here - I love grilled cheese! This one is loaded to the gills with goodness - I want it! Never thought of adding broccoli before to a sandwich but it sure looks good! This is awesome!! Such a smart way to use up some broccoli, I really want this for lunch tomorrow! Bacon is the magic word for me! This looks delicious! I bet the kids won't even mind the broccoli! What a good looking sandwich Sheena! I've got to try this sandwich asap!